Join us every first Thursday evening of the month for fellowship, food and friends. 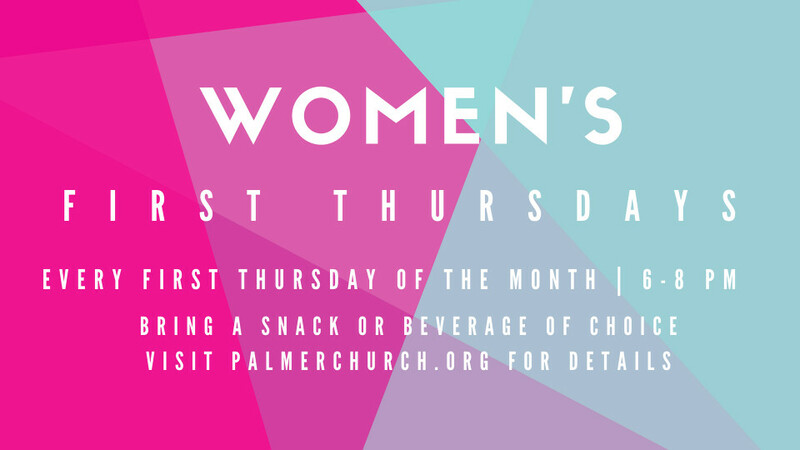 Women of Palmer will gather to socialize and share a meal followed by a speaker-led discussion of different topics. Drinks will be provided and all are asked to bring an appetizer to share.